That’s it! An SD-card sized PC / development board. It’s running a 400Mhz dual-core Quark CPU built on a 22nm process. There’s a WiFi and Bluetooth LE module, memory, storage and interfaces. It may not have a video controller but it runs Linux and the idea is that it has endless possibilities at the newer edges of the Internet. 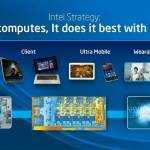 Intel have developed it alongside a $1.3 million competition to stimulate the wearable and internet-of-things segment. It’s for makers! 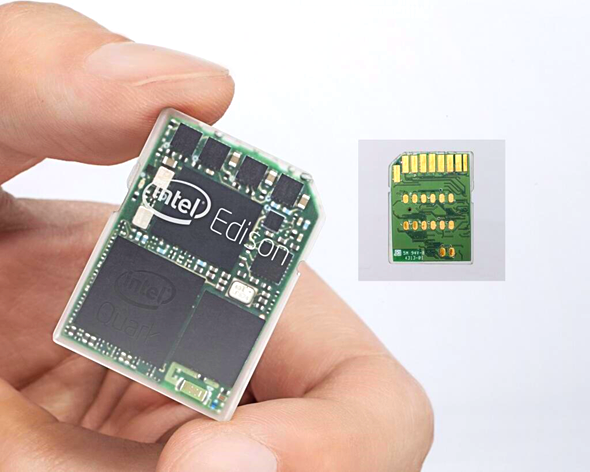 Intel® Edison is a new Quark technology-based computer housed in an SD card form factor with built-in wireless. 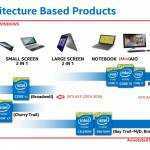 The product-ready, general purpose compute platform is well-suited to enable rapid innovation and product development by a range of inventors, entrepreneurs and consumer product designers when available this summer. 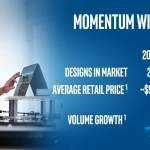 Intel Edison is based on 22nm Intel Quark technology for ultra-small and low power-sensitive, Internet of Things edge devices, smart consumer products and wearable computing. 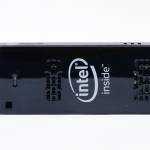 The product features an Intel processor and microcontroller core. The programmable microcontroller helps manage I/Os and other baseline functions, while the x86 compatible processor core brings Linux support and enables multiple operating systems to run sophisticated high-level user applications. The small compute package brings connectivity with Wi-Fi and Bluetooth LE*, and has LPDDR2* and NAND flash storage as well as a wide array of flexible and expandable I/O capabilities. 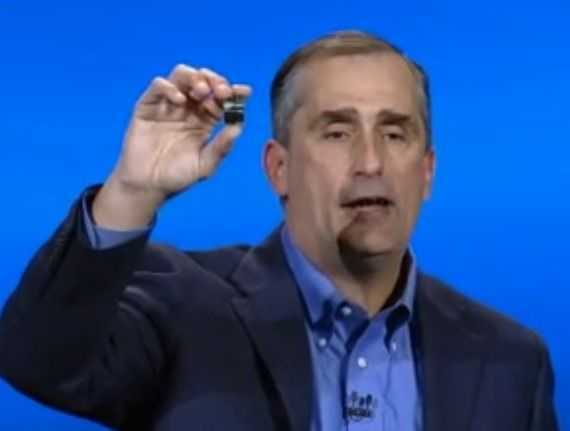 The key here is that it’s small and very low power. 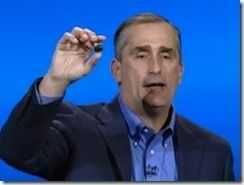 Wireless power is something Intel are looking into under the umbrella of their internet-of-things work. Ambient energy is also a related topic and for screens, how about a WiFi or BT LE display matrix? Got ideas already? More surveillance? How about some games? Beach-towel sun-monitor? Look around you and just think what you’d do with an Edison embedded in your picture frame, shoe, partners key-fob! You can sign up for the competition here and I suspect you’ll get notified of information as it becomes available. The competition will run in the summer. Keep an eye on the Galileo community too because it also comes under the ‘maker’ banner.